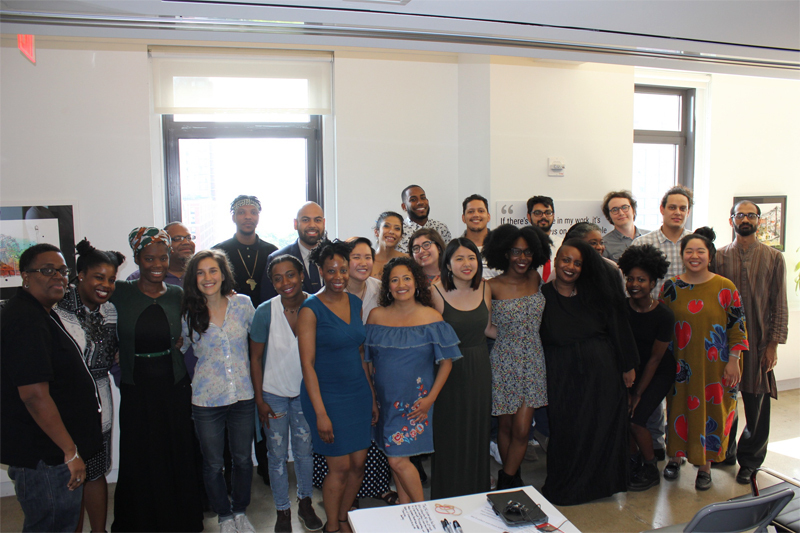 The graduation ceremony was held at the Urban Justice Center’s office in Lower Manhattan, and many friends, family members and supporters of the graduates and of CNL were in attendance. 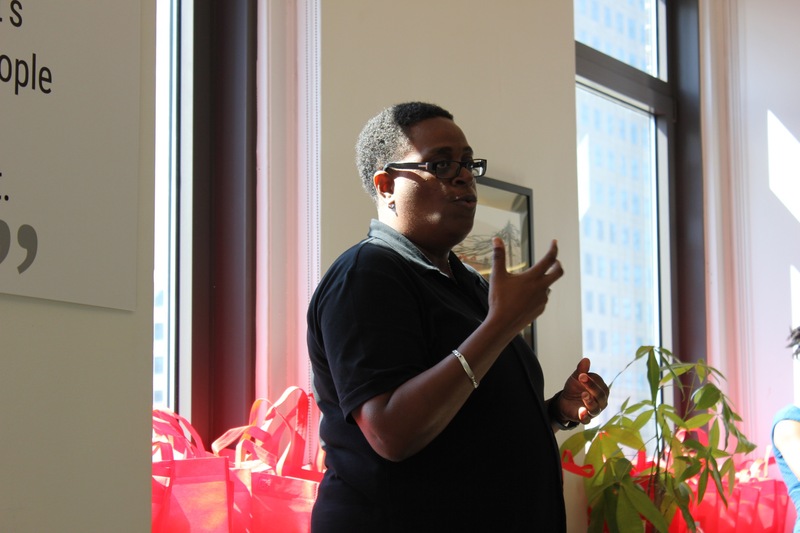 The program started off with remarks by CNL trainers Ericka Stallings and Angelica Otero, who congratulated the graduating class and described the incredible growth they witnessed in the apprentices over the last 10 months. “You are an embodiment of why we exist,” said Otero, who – after being with the CNL program for four years – is leaving to focus on her organization BronxPower and her soon-to-be bundle of joy. The speeches continued with remarks by two members of the graduating class, who were elected by their peers to speak at the program. 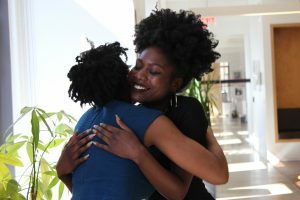 Shanice Brim and Amanda Marino commented on their experiences in the program – the ups as well as the downs – and offered their hopes and advice for the future. Shanice spoke about imagining a world that does not yet exist is difficult, drawing attention to the challenge of not only reacting to an unjust world, but also to being proactive about creating a better one. The graduates were then called up one by one to receive their certificates. A reception followed the program with music, wine, and delicious food from A-Pou’s Taste, a street vendor with the Street Vendor Project. Graduates and their friends and families mingled with each other, all with big smiles beaming with pride. Click here to see photos from the event. Big congratulations to the graduating class, and best of luck on your future endeavors! We look forward to seeing all that these graduates accomplish in their work fighting for justice, building power, and creating a safer, more equitable world.